Nimble is privileged to be seeding an Early Childhood Development Centre in Salt River, Cape Town. The school will be run under the auspices of Peak Child and although open to the public, it will predominantly be a subsidised pre-school for the children of Nimble Cape Town staff. Peak Child’s vision is to give children the best possible start in life. Peak Child aims to provide high quality, affordable pre-schools close to where emerging middle-class parents’ work. 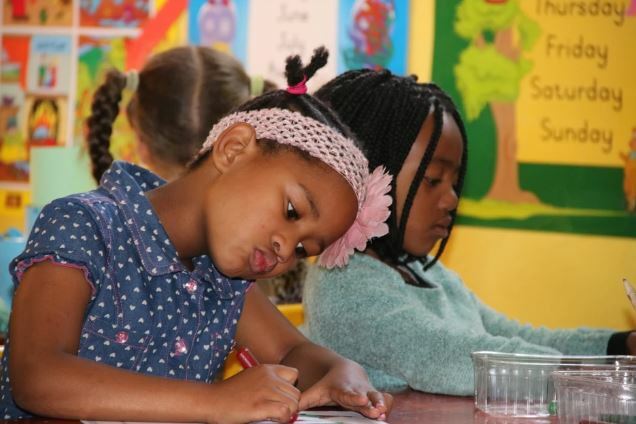 They’ve already partnered with several leading educational experts and local primary schools, to ensure that the children who leave Peak Child will be socially, educationally and physically ready to go to any of Cape Town’s top primary schools. Peak Child caters for children from 3 months to 5 years old and currently has two school schools, one in Harfield Village and one next to Arderne Gardens in Claremont, Cape Town. Make a positive social contribution to our country. Support their staff beyond the usual benefits that an employer offers. We look forward to the grand opening on the 9th January 2019.